Chinese cross-border eCommerce has reached a turning point, says new research from Oliver Wyman. Spending online offshore by Mainland Chinese reached RMB 120 billion (US$17.963 billion) in 2015 according to iResearch, and is expected to grow more than 60 per cent, reaching 7 per cent of total Chinese eCommerce value by 2018. However, Oliver Wyman warns increasing regulation may mean the industry has now reached an inflection point. “Chinese consumers are probably the most informed and digitalised in the world,” said Wai-Chan Chan, Oliver Wyman partner and author of the report. “As Chinese consumers travel abroad, they are increasingly aware of offline prices around the world. The report, titled Shopping Without Boundaries found that one in five online Chinese shoppers made a purchase on cross-border eCommerce platforms in 2015, double the proportion in 2014. This represents more than 3 per cent of total eCommerce transactions in China including both B2C and C2C. Today’s cross-border eCommerce businesses expanded out of the Daigou model which involved small businesses abroad who brought or sent products back to China. In 2013, the Chinese government established experimental zones of cross-border eCommerce for better regulation. Shanghai was the first to be selected, followed by 11 further cities by June 2016.
International brand owners and retailers are taking advantage of the new channels through different models. 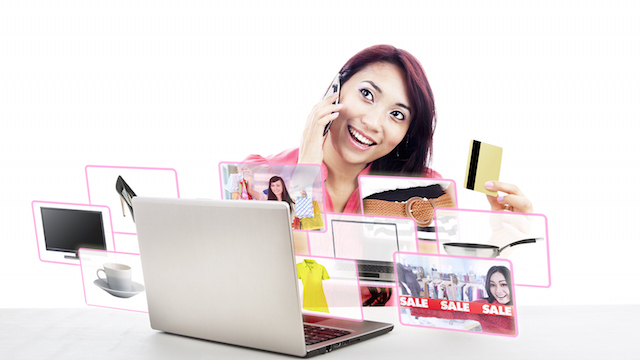 The most common are platform providers such as Tmall International and self-operated plays such as Jumei. JD Worldwide operates across both models. Vertical specialists have also emerged, including the rapidly-growing Xiao Hong Shu (Little Red Book) that has established itself as a challenger. After a strong boom, the report finds that cross-border eCommerce has arrived at a tipping point. “While cross-border eCommerce still presents great opportunities, companies may want to have a Plan B in case the market dynamics change completely due to the new regulations,” added Chan. The full report details how both incumbents and new brands should review and adapt their strategic approach to China’s cross-border eCommerce market. For example, incumbents need to define what role cross border eCommerce should play in their overall Chinese business while ensuring global price harmonisation. New entrants, need to select a product that appeals to online shoppers in China.